AT Dartmouth Crossing they know that when people think of it they think great shopping and entertainment, but they are also working hard to be good neighbours and friends of the environment. It’s kind of a new idea, but they like it, and they live by it every day. 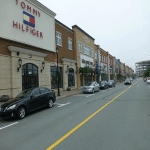 It is one of the most important shopping areas in Halifax. 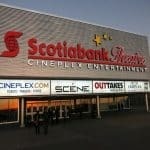 It is a gathering of the biggest stores in Halifax such as Costco, Wal-Mart, Zellers, Winner’s, Staples, Futureshop, Home Depot, and Old Navy. And the amazing thing about it that it didn’t stop at that point it is getting larger and larger, it is growing by an average of one new store every month. It is like making a shopping of everything and anything you want at one centered area, in payers lack you can find all what you need starting from a spoon for your kitchen ending up with a bedroom for your house. 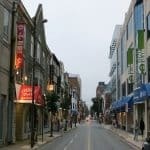 Spring garden road is the spirit of Halifax, is the life of Halifax and the downtown. It includes about 5 to 6 malls in addition to lots of stores for men women and kids clothes. 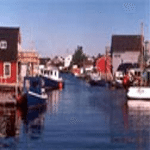 It is the area where you would like just to walk, have fun and enjoy the sight of Halifax. Consisting of nine city blocks, the area has over 200 retail shops, most independently owned, served by ample convenient parking. also when you are in sping Gardan Road sure you would like to visit Spring Garden Place is one of the nicest malls in Halifax. 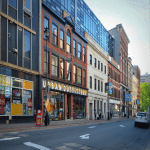 Located between Dresden Row and Brenton Street, Spring Garden Place, is home to great dining as well as a number of specialty shops. Some of the restaurants located in Spring Garden Place are; Ryan Duffy’s Restaurant, Libertine Bistro, 24 Carrots Cafe, and many more. But this mall is not just restaurants, it also has a wide selection of shops. There are book stores, cooking stores, Jewlery shop, Roots outlet, shoe store, nail salon, dry cleaning and even groceries. Forms of payment and hours of store vary depending on the store. This is a fun place to shop till you drop or just to come and hang out doing some of your favorite window shopping. The unique 19th century stone facades of Barrington Place Shops face a cobbled pedestrian streetscape known as Granville Mall. And inside, stores and professional offices are located just minutes from Halifax’s bustling waterfront and the downtown core. In the same complex as the Delta Barrington hotel, Barrington Place is at the centre of Halifax’s tourist/convention and hotel district. Customer and tenant parking are a short indoor stroll away and convenient transit connections are just outside the door.